I am a certified reading teacher. 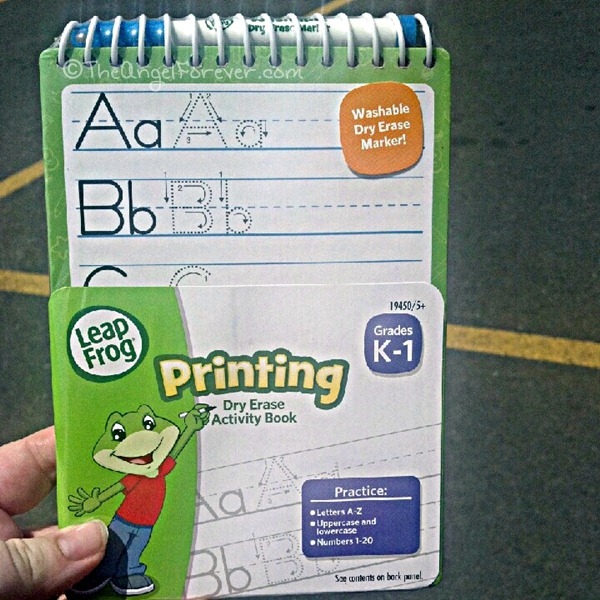 My youngest son just started kindergarten and I have to say, I am not entirely sure if he knows all of his letters. He will joke around when you try to ask, or change the subject. As an educator, I knew it was not wise to push him, even if he said he really wanted to learn to read. Now that he is in school, JSL will quickly learn to do this with the guidance of his teachers. Of course, that doesn’t mean I can’t try to help things out at home. Over the summer, I bought and used countless flashcards, games, writing books, and more. I have a feeling JSL knows a lot more than he is sharing with me. He is shy and gets embarrassed if he gets something wrong. Thanks to this, I tried to think of something a little different that would connect with what he likes. JSL loves Ducks. Over time, he has expressed interest in expanding his rubber duck collection. At the end of the summer, he had some new additions from the summer reading program at the library. 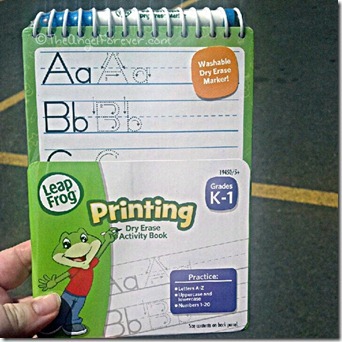 I wanted to get the boys a little something special for going back to school. 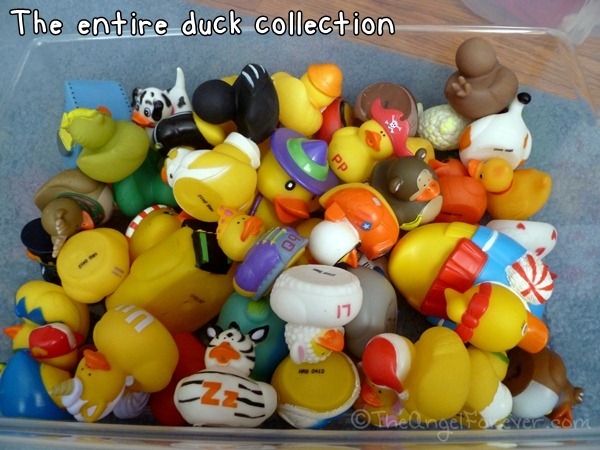 I knew that JSL would love some additional ducks since they are not too easy to find locally. 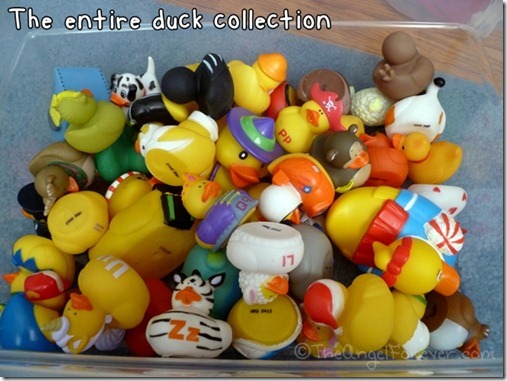 While looking online, I found a Set of 26 ~ ABC’s Rubber Duckies on Amazon. After a while, we decided to order them for JSL. They arrived this week and I have to say, they are really cute. Let me introduce you to the new members of the duck family. Group 1 of the ducks includes an astronaut, baby, cat, dog, and elephant. Group 2 of the ducks includes a farmer, green, hockey player, ice cream, and joker. 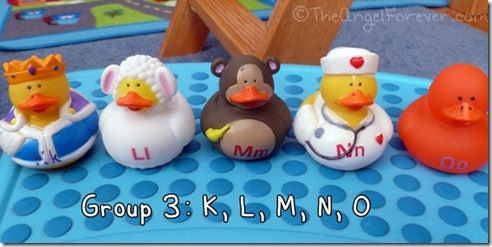 Group 3 of the ducks includes a king, lamb, monkey, nurse, and orange. Group 4 of the ducks includes a pirate, queen, reindeer, Santa, and tennis player. Group 5 of the ducks includes a unicorn, Valentine, walrus, x-ray, yak, and zebra. Thank goodness JSL has a great container for his entire collection. 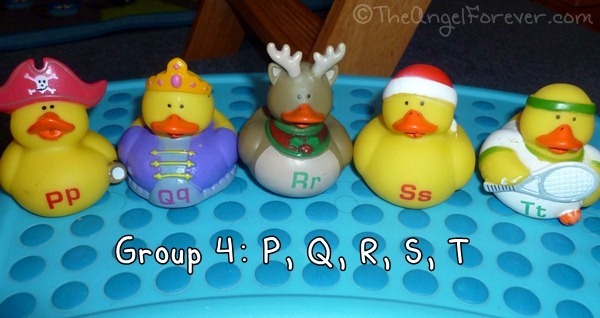 Now I just need to come up with some ABC duck games to use as enrichment activities to work on his letter recognition and sounds. 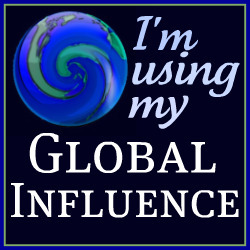 If you have any ideas I would love you to leave them in the comments below – thank you in advance! 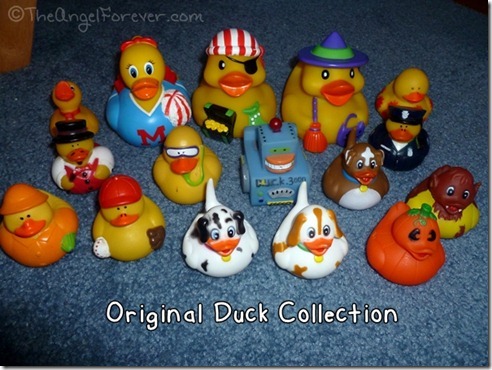 Disclosure: One link within this post is an Amazon Affiliate link for the ABC Ducks that we purchased. 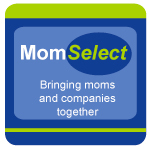 I will receive a percentage of money for the sale should you opt to buy them through that link.